It's no secret that some of the best fighters in the world of mixed martial arts come from Brazil. 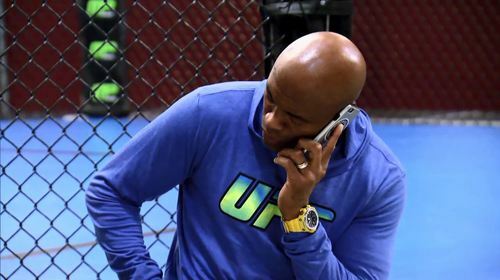 It's a hot bed for UFC Champions, and now the hit reality TV series , The Ultimate Fighter® is headed to find the best of the best in TUF Brasil. 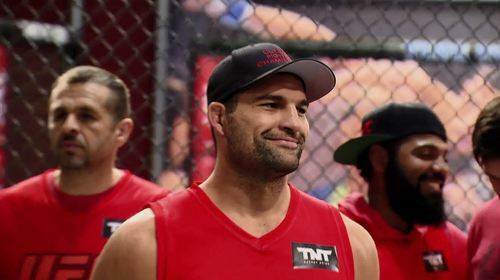 Antônio Rodrigo Nogueira and Mauricio "Shogun" Rua lead 8 bantamweights and 8 lightweights towards their goal of a six figure contract in the UFC and the title of The Ultimate Fighter Brazil. 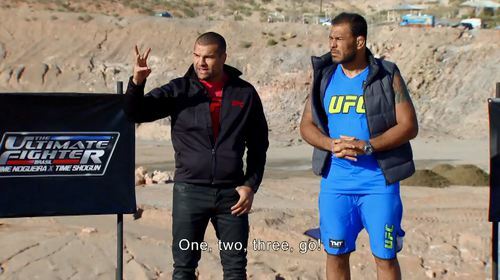 For the first time, THE ULTIMATE FIGHTER: BRAZIL brings the action to the epicenter of MMA fighting: Las Vegas. Sixteen fighters from around Brazil, 8 bantamweights and 8 lightweights, will compete to win a contract with the UFC. They will be coached by two of the greatest fighters ever: their countrymen Anderson Silva and Mauricio “Shogun” Rua. The first 8 elimination fights take place as the fighters battle it out for the right to stay in the TUF house, and a chance to win it all. 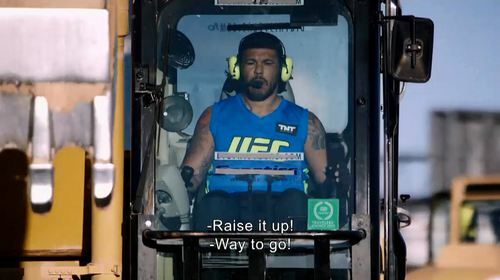 After the first eight eliminatory fights, sixteen more fighters, 8 Bantamweights and 8 Lightweights, step into the octagon for a chance to win the remaining spots at the TUF house. Coaches Silva and Shogun then pick their teams and announce the first preliminary fight of the season. The 16 winning fighters celebrate their arrival at the TUF House and begin training. They are rewarded with a night out at a casino and introduced to the lovely Octagon Girls. The fighters compete in a physical challenge; the winning team is to receive a trip to the snow-capped Mount Charleston. Coach Anderson tests positive for PEDs, has to leave the show and is replaced by a UFC legend. Then, the first preliminary fight of the season takes place. The loser of the first preliminary fight mourns his loss, while his team gets ready for another fight. Meanwhile, one of fighters after having lost his coach battles his emotions and tries to adjust to a new reality. The Octagon Girls come by the house, to take the winning team on a winter adventure. And finally, the moment arrives: the second preliminary fight! 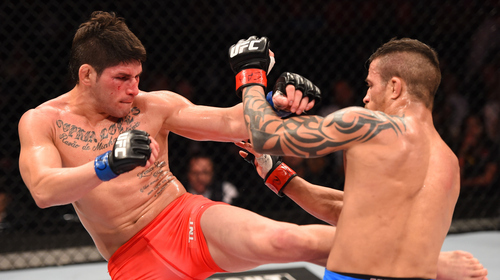 In this episode, tensions rise within Team Nogueira as the pressure to win intensifies. The Octagon Girl competitors stop by the TUF house to visit the fighters and partake in an afternoon of poker-playing, barbecuing and romance. And finally, the third preliminary fight of the season takes place between two of the most dynamic bantamweights in the competition. Team Shogun and Team Nogueira bring all their strength to a new challenge that gives the winning team the chance to steal a future fight pick. 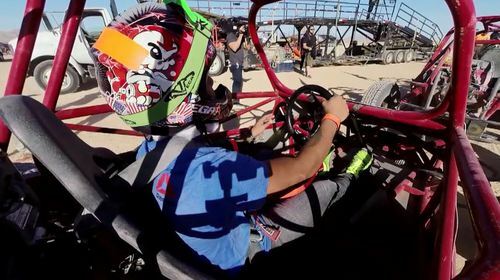 As a mid-season reward from Dana White, both teams get to enjoy a new adventure together as they drive dune buggies in the rough terrain of Las Vegas desert. And it’s all hands on deck for Team Nogueira as it prepares its most aggressive lightweight fighter to face the tallest lightweight from Team Shogun on the 4th preliminary fight. The attention now is on the next big bantamweight fight, which pits a heavy favorite from Team Nogueira versus a relative newcomer from Team Shogun. As the fighters get ready for their bout, the teams battle each other in a water-drenched challenge that will test their strength and endurance. After the challenge, the favorite overexerts himself in a training session to a point where some people begin to doubt whether he will get it together in time for the fight. After this momentary scare, he is able to fully recover and steps into the Octagon promising to send the underdog packing with his tail between his legs. One of the most beloved fighters in the competition suffers from injuries and illness and finds himself in a dilemma that leads to one of the toughest decisions of his life. 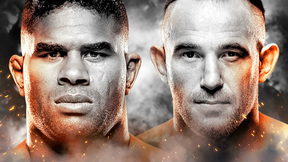 His decision will determine his fate in the competition and could give another fighter a second chance. Team Nogueira prepares their most fierce fighter for the 6th preliminary fight as he takes one Team Shogun’s undefeated fighter. As a reward for winning a previous challenge, fighters from Team Shogun are joined by the Octagon Girl contestants and they all go on a night on the town in Vegas and enjoy the roller coaster thrills of the Stratosphere Hotel. 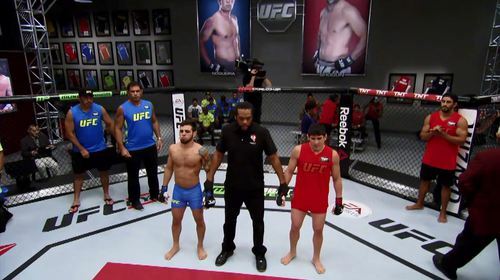 Back at the house, a fighter from Team Nogueira gets punished for his betrayal of his team. And finally, two bantamweight fighters from Team Nogueira, who also happen to be the best of friends, have to check their friendship at the entrance of the Octagon and face each other to see who will advance to the semi-finals. With only one semi-final spot left, the coaches prepare their two remaining lightweights for the eighth and final preliminary fight. 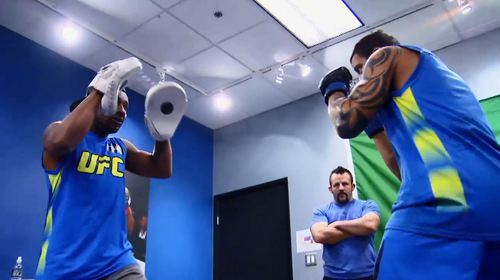 The fighters face off in the last team challenge, which will give the winners a relaxing evening of massages at the TUF house. Team Nogueira’s most humble and dedicated fighter steps into the octagon hoping to become the only Blue lightweight in the semis. After the fight, the fighters vote to choose the two finalists for the Octagon Girl competition. And, finally, the match-ups for the semi-finals are announced. As the end of the competition draws near, the fighters say goodbye to Las Vegas by attending a farewell party and riding the world’s tallest Ferris Wheel. With only two open spots left in the finals, Team Nogueira and Team Shogun both hope to end the season on a high note. The first fight is the bantamweight bout between the show’s surprising underdog and the most disciplined athlete in the competition. The last lightweight semifinal is a fierce clash between two veterans of the sport. 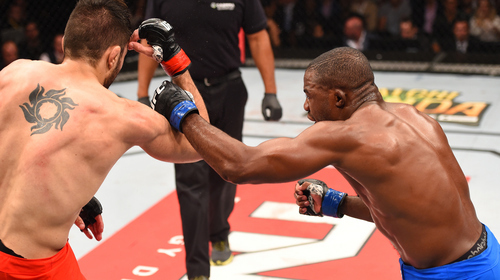 Reginaldo Vieira and Dileno Lopes meet in the Octagon at UFC 190 to find out who is the next Ultimate Fighter Brazil. 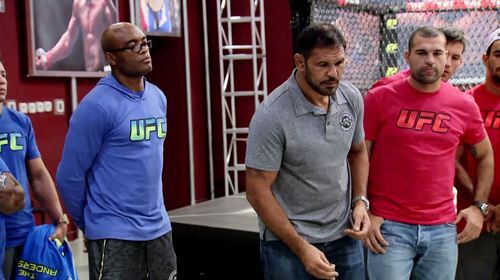 Glaico Franca and Fernando Bruno meet at UFC 190 to find out who will be the next Ultimate Fighter Brazil.